Location Based Services PowerPoint templates, backgrounds Presentation slides, PPT Themes and Graphics. With the paradigm shift, now there is also change in presenting business presentations. Every professional seeks to give professional yet visual appealing look to their PowerPoint presentations. 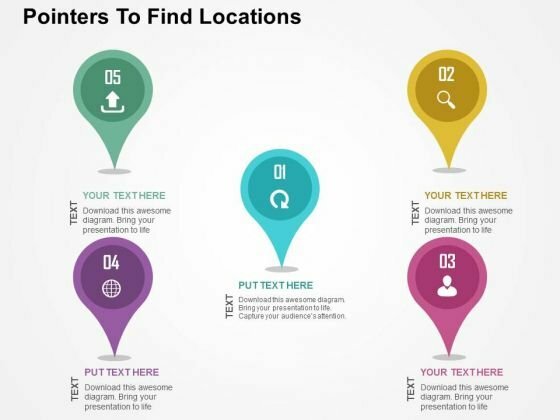 Here, our readily available Location based services PPT templates assist them perfectly. These location based services PowerPoint slide templates suit best to number of contexts be it medical, daily chores, entertainment, personal life, or so on. Nowadays, individuals use various social networking site to show check-ins where they are hanging out with their buddies. To avail real time communication and in business world, customers can share their experiences with not only their professional but personal connections too using our location-based mobile networking presentation templates. Moreover, you can make apt strategies using these infographic PPT slide templates publicize your business location to your prospects. The most impactful benefit of these PPT presentation templates is to portray spatial patterns to your management team enabling location related data and services such that they get informed about patterns and relationships with other businesses or customers. Download these splendid location based services PowerPoint templates and design for your presentation and let your audience applaud your efforts. Further, leverage the benefit of customizing color, text and font of your desired location based services PowerPoint template. Visit free download section and download free location based services PPT presentation slide template samples. 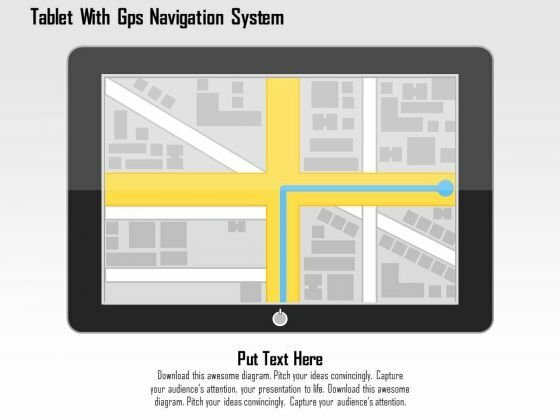 This PowerPoint slide has been designed with GPS navigation on computer tablet. This diagram is suitable to present technology apps. This professional slide helps in making an instant impact on viewers. 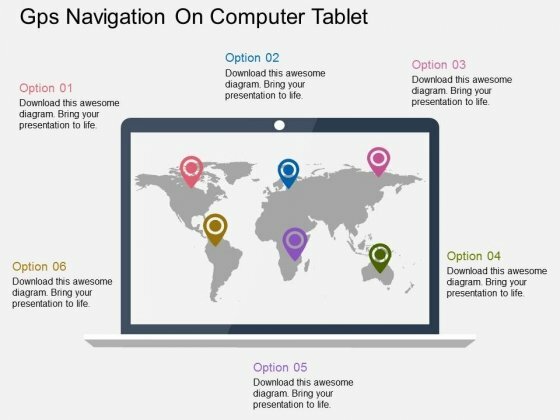 Take the plunge with our Gps Navigation On Computer Tablet Powerpoint Template. Success will surely ensue. The above ppt slide depicts pointers of GPS navigation. 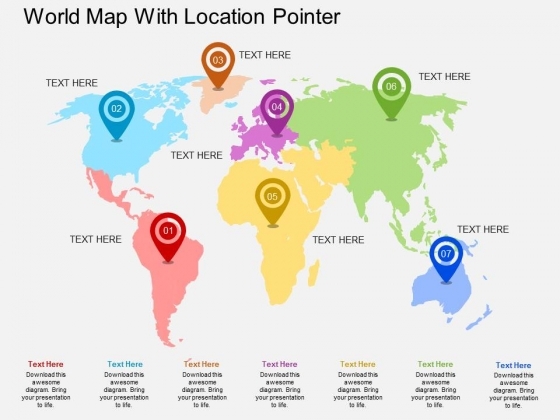 This high quality template is designed with graphics of pointers to find location. This innovative diagram slide is tailor-made for you. The above template displays graphics of computer tablet. This diagram has been professionally designed to emphasize on GPS navigation system. Grab centre stage with this slide. 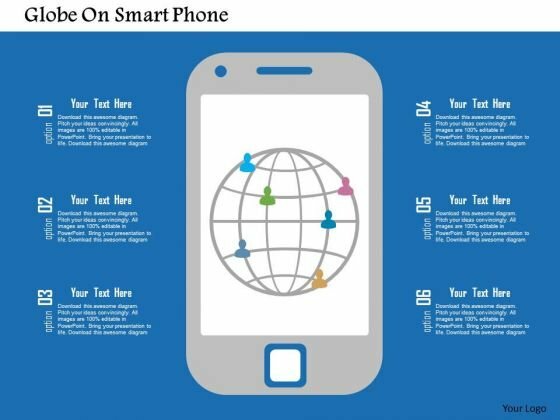 Our above slide contains graphics of globe on smart phone. 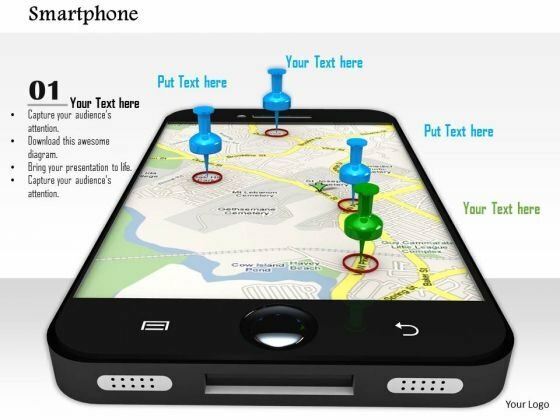 It helps to display GPS service on mobile phones Use this diagram to impart more clarity to data and to create more sound impact on viewers.